Did the Criminal on the Cross Have Faith That Works? 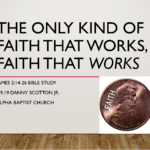 After preaching and teaching from James 2:14-26, which tells us that “The Only Kind of Faith That Works, Is Faith That Works” someone asked a good question: what about the “thief” on the cross? 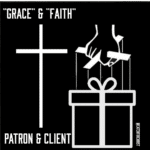 If “faith” without works is dead (Jas 2:17, 26), did the “thief” on the cross have true faith if he had little time for works? What if someone doesn’t have time for their faith to “work” (i.e., be put into practice)? How long does it take for salvation to “kick in”? 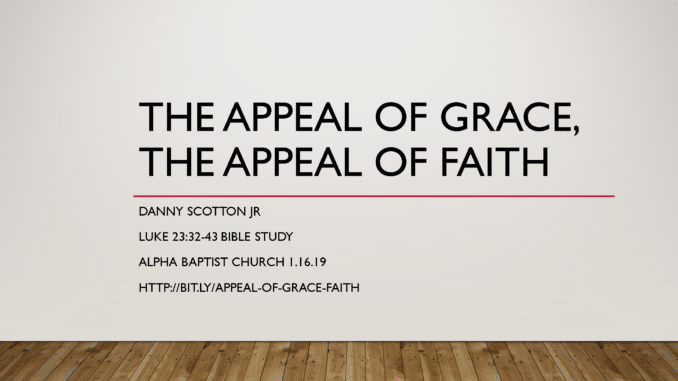 The Appeal of Grace, The Appeal of Faith | Luke 23:32-43 Bible Study Slideshow from Danny Scotton, Jr. 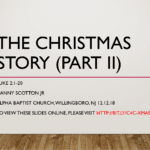 There are two videos embedded on one of the later slides, but I only had time for one of them. I used this clip of an illustration of how gracious acts can be amazingly appealing to others. Bock, Darrell L. Luke: 9:51–24:53. Vol. 2. Baker Exegetical Commentary on the New Testament. Grand Rapids, MI: Baker Academic, 1996. Douglas, J. D., and F. F. Bruce. “Scourging, Scourge.” Edited by D. R. W. Wood, I. H. Marshall, A. R. Millard, J. I. Packer, and D. J. Wiseman. New Bible Dictionary. Leicester, England; Downers Grove, IL: InterVarsity Press, 1996. Goldingay, John. Baker Commentary on the Old Testament: Psalms 1–41. Edited by Tremper Longman III. Vol. 1. Grand Rapids, MI: Baker Academic, 2006. Green, Joel B. The Gospel of Luke. The New International Commentary on the New Testament.Grand Rapids, MI: Wm. B. Eerdmans Publishing Co., 1997. Kidner, Derek. Psalms 1–72: An Introduction and Commentary. Vol. 15. Tyndale Old Testament Commentaries. Downers Grove, IL: InterVarsity Press, 1973. Longman, Tremper, III. Psalms: An Introduction and Commentary. Edited by David G. Firth. Vol. 15–16. Tyndale Old Testament Commentaries. Nottingham, England: Inter-Varsity Press, 2014. Metzger, Bruce Manning, United Bible Societies. A Textual Commentary on the Greek New Testament, Second Edition a Companion Volume to the United Bible Societies’ Greek New Testament (4th Rev. Ed.). London; New York: United Bible Societies, 1994. Strobel, Lee. The Case for Christ: A Journalist’s Personal Investigation of the Evidence for Jesus. Zondervan. Kindle Edition, 1998.